Max Larocque Construction will be at the 2019 Montreal HomeExpo from October 24th to October 27th at the Olympic Stadium (kiosk 112). Come meet our team and talk about your renovation or construction project. In a friendly atmosphere, you will get to know better Max Larocque Construction and its dedicated team. You will be able to discuss your needs and desires with us and we will see with you how our team can take care of your project. Max Larocque Construction is always happy to guide you in your project. From A to Z, we are here to help you achieve your dream. Too often, contractors are present only at the time of construction. The preliminary stages of conception, design and architecture are neglected by the contractor. Max Larocque Construction make sure to take charge of your project and to provide you the advices you need. 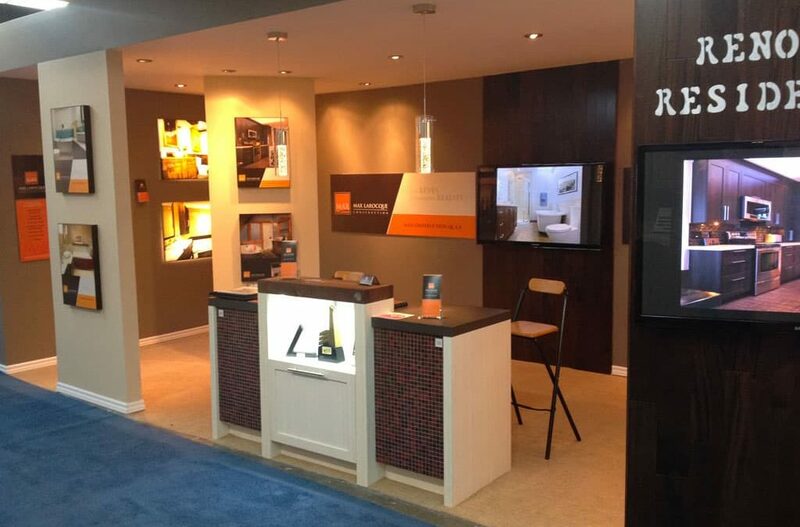 Getting to know Max Larocque Construction’s team at the Montreal HomeExpo will familiarize you with this method and to witness how this can make your renovation project easier. Whether it is a kitchen renovation project, a bathroom renovation project, an house expansion project or a house transformation project, Max Larocque Construction is waiting for you at the Montreal HomeExpo at the Olympic Stadium October 24th to October 27th. NEED HELP TO START YOUR PROJECT ? Working in renovation field since 1983, Mr. Jacques Larocque, then carpenter craftsman, has realized many projects of bathrooms, kitchens and interior designs.